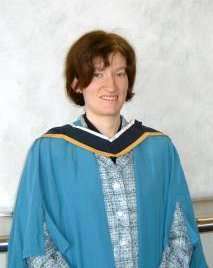 Academic dress is a traditional form of clothing for academic settings, mainly tertiary (and sometimes secondary) education, worn mainly by those who have been admitted to a university degree (or similar), or hold a status that entitles them to assume them (e.g., undergraduate students at certain old universities). It is also known as academical dress, academicals, and, in the United States, as academic regalia. Contemporarily, it is commonly seen only at graduation ceremonies, but formerly academic dress was, and to a lesser degree in many ancient universities still is, worn daily. Today the ensembles are distinctive in some way to each institution, and generally consists of a gown (also known as a robe) with a separate hood, and usually a cap (generally either a square academic cap, a tam, or a bonnet). Academic dress is also worn by members of certain learned societies and institutions as official dress. Formal or sober clothing is typically worn beneath the gown so, for example, men would often wear a dark suit with a white shirt and a tie, or clerical clothing, military or civil uniform, or national dress, and women would wear equivalent attire. Some older universities, particularly Oxford and Cambridge, have a prescribed set of dress (known as subfusc) to be worn under the gown. Though some universities are relaxed about what people wear under their gowns, it is nevertheless considered bad form to be in casual wear or the like during graduation ceremonies, and a number of universities may bar finishing students from joining the procession or the ceremony itself if not appropriately dressed (though this sometimes refers only to requiring the proper wear of academic dress and not what is worn beneath it, if unseen). In the Commonwealth, gowns are worn open, while in the United States it has become common for gowns to close at the front, as did the original roba. The materials used for academic dress vary and range from the extremely economical to the very expensive. In the United States, most Bachelor and master's degree candidates are often only presented the "souvenir" version of regalia by their institutions or authorized vendor, which are generally intended for very few wearings and are comparatively very inexpensive. For some doctoral graduates commencement will be the only time they wear academic regalia, and so they rent their gowns instead of buying them. These rented (or hired) gowns are often made of inexpensive polyester or other man-made synthetic fibre. In Britain, rented gowns are almost always polyester while Russell cord, silk or artificial silk gowns are only available when bought. Undergraduate gowns are usually made from cotton or cotton and polyester mix and are relatively inexpensive to encourage students to own them. People who choose to buy their dress may opt for finer fabrics, such as poplin, grosgrain, Percale, cotton, wool, cassimere, broadcloth, Russell cord or corded/ribbed material. For silk, there are a range of types including artificial silk/rayon, Ottoman (i.e. ribbed or corded silk), taffeta, satin, alpaca, true silk, shot silk or a mixture. Pure Ottoman silk is rarely used except for official gowns as it is very expensive. Some gowns may be trimmed with gimp lace, cords, buttons or other forms of decoration. Many institutions whose dress includes gowns of varying lengths prescribe the appropriate length of each gown with reference to parts of the wearer's body (undergraduate gowns at Cambridge, for example, must not reach the knees, whereas BA gowns should reach just beyond them, according to the University's statutes). As such, suppliers of academic dress will produce gowns in many different sizes to fit persons of different heights. Ceremonial robe of McGill University's Principal and chief executive. In Canada, academic regalia is worn by university officials, faculty, students and honored guests during commencement exercises, installations of their presiding officers and special convocations, such as the inauguration of newly endowed professorial chairs and inductions to some of the honor and professional societies with university chapters. Academic regalia typically consists of a headgear (mortarboard, Tudor bonnet or John Knox cap), robe and hood. Until the 1930s, Canadian universities customarily prescribed academic robes for its professors and students at classes and lectures. At the University of Trinity College at the University of Toronto academic gowns are still required for all students and faculty at weekday dinners, most college meetings, debates and certain special college events. Most Canadian universities follow or adopted either the British University academic dress at Oxford or Cambridge universities, or the Intercollegiate Code of Academic Costume ratified by most American universities in the late 1890s. Other universities contain elements of the British and American patterns for some or all of their academic costumes. A classic example is the academic dress of McGill University, whose British origins are evident in the regalia of its degree holders. The distinctive ceremonial regalia of McGill University officials, on the other hand, is closer to the American pattern for the master's robe with above the elbow, square slit-cut sleeves. The scarlet, Doctor of Philosophy (Ph.D.) regalia of McGill can now be worn closed-front, unlike the open-front only gown of the University of Cambridge higher doctorate full dress, from which it evolved. Gold strand tassels used in American doctoral regalia are wrapped around McGill's otherwise Tudor-style bonnet or tam. a long, wide belt or sash, either black or of the colour of the relevant academic field, ended by fringes (which may be golden or of the same colour as the belt), and attached with a broad ornamental knot. a white rabat (jabot), over which a white tie may be worn for ceremonial occasions. It is made of lace for the Dean of the Faculty, the President of the University, and a few other officials; of plain cotton for others. only for men, a mortarboard of the colour of the relevant academic field with a golden stripe, which is usually not worn but carried (since anyway the academic dress in France is rarely worn outdoors, and men are supposed not to wear hats indoors), and often even omitted. in principle white bow tie and white gloves. The hood, like the gown, is identical to that of the hood for the Cambridge Master of Arts. A Bachelor's degree hood is lined with coloured satin and bordered with white fur (the exception to this are Canterbury and Waikato University which do not line their hoods with fur). The bachelor's degree with Honours hood is lined with coloured satin and bordered with white satin. The master's degree hood has no edging. 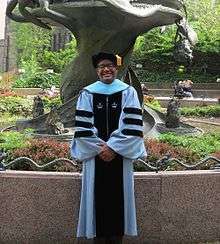 A Doctoral Degree recipient wears the same as a graduate receiving a Masters, except the gown is completely silk, either black or scarlet, with the option to wear a cloth gown. A Doctoral hood is completely silk and the headdress is a black Tudor bonnet, in place of the flat-topped mortarboard worn with Bachelor's and Master's gowns . Academic dress is rarely worn in New Zealand other than for some rare academic events - however some high schools, for instance Auckland Grammar School, retain the tradition of the headmaster wearing a gown while leading assembly. In some schools of the country, the colour of the gown corresponds to the school colour (Blue for Colegio de San Juan de Letran and Ateneo de Manila University, Green for Far Eastern University, and Red for San Beda College). Some schools like the University of Santo Tomas, due to its Spanish heritage, follows the Spanish academic attire such as the academic biretta and mozetta. 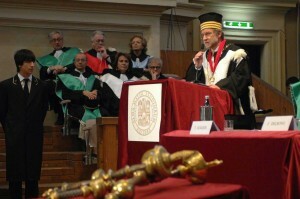 The birreta and mozetta are worn by those from the Graduate School and the Faculty of Medicine and Surgery. Graduates of the Bachelors' programs wear the traditional mortarboard, hood and gown. The professors of the University wear their academic regalia during the Missa de Apertura or the Opening Mass of the Academic Year aside from Solemn Investitures (graduation ceremonies) and other academic activities. The academic colours are unique to this university as these depend on the official color of the faculty or college a student or an academe belongs into. A unique graduation garb by the University of the Philippines is the use of the Sablay. The Sablay was inspired from the Malong of Muslim Mindanao thus, giving it a Filipiniana look. It features the indigenous baybayin characters for "U" and "P". During the commencement ceremony, graduates wear the Sablay at the right shoulder, it is then moved to the left shoulder after the President of the University confers their degree, "similar to the moving of the tassel of the academic cap." The Sablay is worn over traditional Filipino attire – Barong Tagalog for men and Filipiniana dress for women. 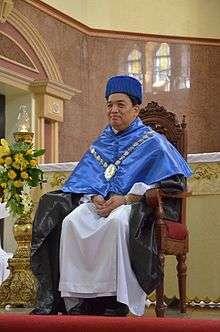 The Rector Magnificus of the University of Santo Tomas in full Spanish academic attire, wearing the academic biretta and the mozetta over the Dominican habit. In Portugal, university students also use a specific dress. This dress is not relate to any academic degree and its use is related to hazing rituals (praxes). 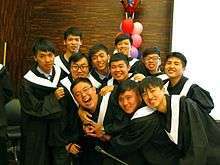 Nowadays,it is only found at special occasions, such as graduation ceremonies. 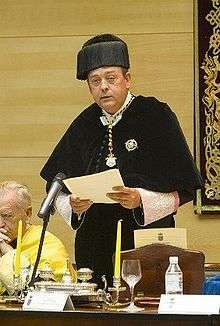 Spanish rector (University president) in full academic dress, wearing the octagonal birrete (biretta) that is the academic cap in Spanish universities. A octagonal, tasseled biretta (birrete), whose colour depends on the academic field. Tassels of doctors holding more than one degree in separate fields alternate the corresponding colors. In Sri Lanka, the academic dress consists of gown, a garland or hood. Universities that were affiliated to the former University of Ceylon issue black gowns for graduates and post graduates; red gowns for masters and Phd graduates; crimson gowns for chancellors with a different colour gowns for senior academic faculty. These universities issue garland to all academics and only issue mortar boards to chancellor, vice chancellor and registrars. 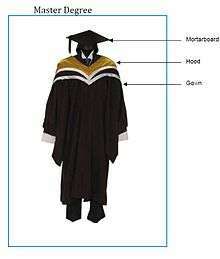 Modern universities issue mortar boards to graduates along with a hood in place of garland. Finland and Sweden have similar traditions when it comes to academic clothing. For important academic ceremonies white tie is usually worn, however, often with traditional headwear and gowns. In Finland and Sweden technology students wear a special kind of cap called a teekkarilakki (Finnish) or teknologmössa (Swedish). 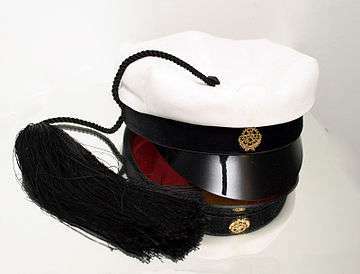 It is similar to the traditional studentmössa cap worn by all high-school graduates in both countries, but features a tuft and a distinctive cockade to show which university the wearer is attending. Technology students generally wear their caps more frequently, and thus the tuft often symbolizes university-engineers. Although universities have different rules regarding the use of the cap, it is generally not awarded to the student until he or she has completed the first year of their studies. The technology student's hat may also be seen on informal occasions, being worn with the student overall at many universities. In both countries many universities have doctoral hats for persons who have completed a PhD or similar degree. These usually resemble top hats. 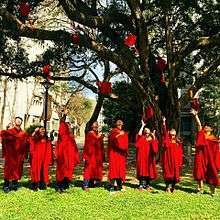 At some universities, a doctoral ring is awarded together with the hat. In the Ingmar Bergman film Wild Strawberries, one scene shows the conferral of a Jubilee doctor degree on the main character at the University of Lund, which includes the presentation of such a hat and ring. At the University of Helsinki a cape and a sword are commonly worn with the doctoral hat. Students of the student organization "Limes" may also be seen wearing a black cape. For more details on this topic, see Academic dress in the United Kingdom. 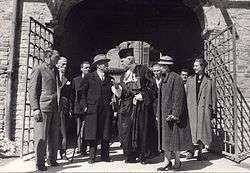 The Vice-Chancellor of the University of Cambridge's deputy wearing the cope (cappa clausa) led by an Esquire Bedell. There is a distinction between different types of academical dress. Most recently, gowns, hoods and caps are categorised into their shape and patterns by the Groves classification system, which is based on Nicholas Groves's document, Hood and Gown Patterns. This lists the various styles or patterns of academic dress and assigns them a code or a Groves Classification Number. 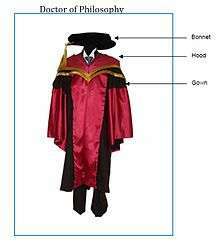 For example, the Cambridge BA style gown is designated [b2] and a hood in the Cambridge full-shape is designated [f1], etc. Because the universities are free to design their own academicals using a wide range of available gown, hood and cap patterns, colours and materials at their and the robemaker's disposal, the academicals of two given universities rarely clash with each other. 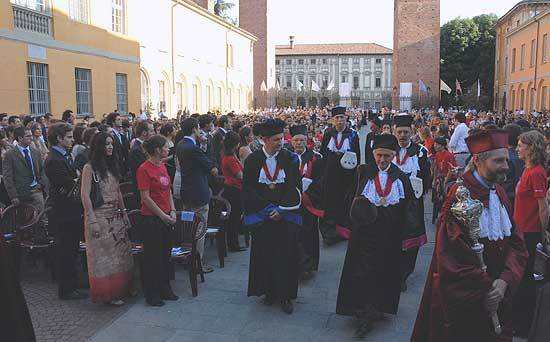 The modern gown is derived from the roba worn under the cappa clausa, a garment resembling a long black cape. In early medieval times, all students at the universities were in at least minor orders, and were required to wear the cappa or other clerical dress, and restricted to clothes of black or other dark colour. The gowns most commonly worn, that of the clerical type gowns of Bachelor of Arts (BA) and Master of Arts (MA), are substantially the same throughout the English-speaking world. Both are traditionally made of black cloth, (although occasionally the gown is dyed in one of the university's colours) and have the material at the back of the gown gathered into a yoke. The BA gown has bell-shaped sleeves, while the MA gown has long sleeves closed at the end, with the arm passing through a slit above the elbow. There are two distinctive shapes used in the UK for doctor's gown; the Oxford doctor's shape and the Cambridge doctor's shape. The former has bell-shaped sleeves, the latter has long open sleeves. Another rarer form is the Cambridge MusD dress gown which is a pattern between the two. The other form of doctor's gown is the undress gown. This is a black gown worn for less formal occasions such as lectures. This type of gown is rarely seen or worn nowadays as many wear the dress gown instead; however, the undress gown still plays a part in the older universities where academic dress is usually worn. Undergraduates at many older universities also wear gowns; the most common essentially a smaller knee-length version of the BA gown, or the Oxford Commoners gown which is sleeveless lay type gown and has two streamers at the back at Oxford. At Cambridge, most colleges have their own distinctive design of gown. Undergraduates at St Andrews, with the exception of theology students, commonly wear scarlet woollen gowns with velvet collars. Undergraduate gowns are seldom worn (even in institutions that prescribe them) nowadays except in the older universities. The academic cap or square, commonly known as the mortarboard, has come to be symbolic of academia. In some universities it can be worn by graduates and undergraduates alike. It is a flat square hat with a tassel suspended from a button in the top centre of the board. The mortarboard may also be referred to as a trencher cap (or simply trencher). The tassel comprises a cluster of silk threads which are fixed together and fastened by a button at one end, and fixed at the centre of the headpiece. The loose strands are allowed to fall freely over the board edge, typically falling over the left front side of the cap. Often the strands are plaited together to form a cord with the end threads left untied. In many universities, holders of doctorates wear a soft-crowned, round-brimmed headpiece known as a Tudor bonnet or tam, rather than a trencher. Other types of hats used, especially in some universities in the UK, are the John Knox cap (mostly at Scottish universities), the Bishop Andrewes cap (a reinvention of the ancient form of the mortarboard, worn by Cambridge DDs) and the pileus (at Sussex). In some universities, such as Oxford, women may wear an Oxford ladies' cap. to determine whether revision and completion of the academic code adopted by the conference of the colleges and universities in 1895 is desirable at this time, and, if so, to draft a revised code and present a plan for submitting the code to the consideration of the institutional members of the Council. 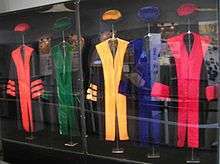 The colours allocated to the various fields of learning have been largely standardized in the United States by the Intercollegiate Bureau of Academic Costume, and accepted by the American Council on Education in its Academic Costume Code. Some of the more common colours seen are that liberal arts is represented by white, science by golden yellow, medicine by green, law by purple, and philosophy (including all PhD degrees) by dark blue. A distinction is made in the code, which calls for a graduate to display the colour of the subject of the degree obtained, not the degree itself. For example, if a graduate is awarded a Bachelor of Arts (BA) degree specifically in business the trimming should be drab, representing commerce/accountancy/business, rather than white, representing the broader arts/letters/humanities; the same method is true of master's degrees and doctorates. However, in 1986, the American Council on Education updated the Code and added the following sentence clarifying the use of the colour dark blue for the Doctor of Philosophy degree, which is awarded in any number of fields: "In the case of the Doctor of Philosophy (Ph.D.) degree, the dark blue colour is used to represent the mastery of the discipline of learning and scholarship in any field that is attested to by the awarding of the degree, and it is not intended to represent the field of philosophy." 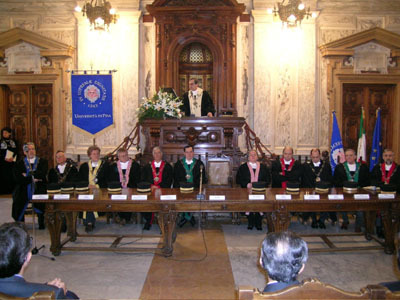 The Sartoria Gammerelli as of August 2013 offers, in line with the updated stipulations of the Pontifical Gregorian University, birettas lined with the following assorted piping and tufts depending on which faculty one is graduated from: Green for Canon Law, Red for Sacred Theology, Blue for Philosophy, and Orange for Social Sciences. Three-horned birettas are to be used by Licentiates, four-horned for Doctors. Academic dress for the Pontifical University of Saint Thomas Aquinas, Angelicum graduates consists of a black toga or academic gown with trim to follow the color of the faculty, and an academic ring. For the Doctorate degree a four corned biretta is to be worn, and for the Licentiate degree a three corned biretta is to be worn. See:Academic regalia of the Pontifical University of St. Thomas Aquinas. The 'traditional' biretta at the Pontifical University of Saint Thomas Aquinas, Angelicum, is white, to correspond to the white Dominican habit. 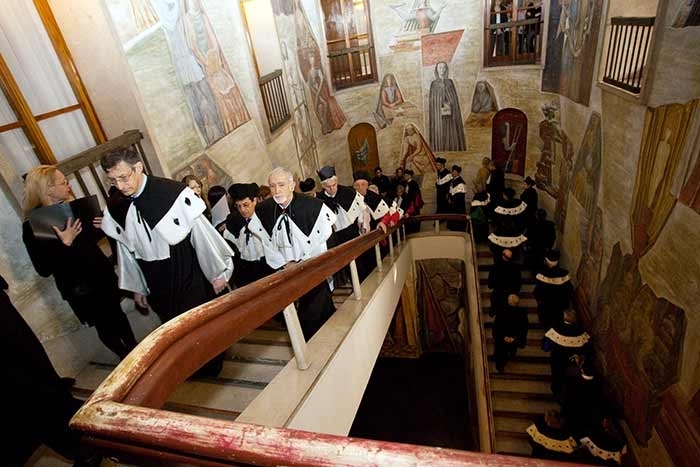 Also, the academic senate of the Angelicum in its May 2011 meeting indicated that the black biretta may be used with trim and pom in the color of the particular faculty. ↑ "Cox, N. (2000). Academical dress in New Zealand.". Retrieved 2016-03-12. ↑ "History and Archives of the American College of Surgeons; Highlight of the Month October 10, 2005; The Clinical Congress: Then and Now, accessed 01/29/2008". Facs.org. Retrieved 2010-04-28. ↑ "Goff, pp. 13–14". Phildress.co.uk. Archived from the original on 15 May 2011. Retrieved 2010-04-28. ↑ n.wood@sheffield.ac.uk. "University of Sheffield: What should I wear?". Shef.ac.uk. Archived from the original on 5 April 2010. Retrieved 2010-04-28. ↑ Gibson, William (2004). The Regulation of Undergraduate Dress at Oxford and Cambridge, 1660–1832. Burgon Society Annual. ↑ Hargreaves-Mawdsley, W.N. (1963). A History of Academical Dress in Europe until the End of the Eighteenth Century. Oxford: Clarendon Press. ↑ Armagost, Robert (2009). University Uniforms: The Standardization of Academic Dress in the United States. Transactions of the Burgon Society, 9, p. 140. ↑ "Man trägt wieder Talar" (in German). Westfälische Nachrichten. 11 November 2012. Retrieved 2016-09-11. 1 2 "Amtstracht des Rektors". University of Marburg. Retrieved 2016-09-11. ↑ "Die neue Amtskette des Rektors unserer Universität" (in German). Technische Universität Dresden. 16 March 2010. Retrieved 2016-09-11. ↑ "Die beiden Marburger Universitätsszepter" (in German). University of Marburg. Retrieved 2016-09-11. ↑ "Famous photo of students in 1967 revolting in Hamburg in front of fully dressed scholars". Spiegel.de. 13 July 2005. Retrieved 2010-04-28. ↑ "Feierliche Immatrikulation an der Universität Rostock" (in German). Rostock Heute. 17 October 2010. Retrieved 2016-09-17. ↑ "Schöner feiern mit Kette und Talar?" (in German). Tagesspiegel. 29 June 2003. Retrieved 2016-09-17. ↑ "Von Tradition und Moderne: Friedrich-Schiller-Universität Jena begrüßt neue Studierende mit feierlicher Immatrikulation" (in German). Thüringen Reporter. Retrieved 2016-09-17. ↑ "Tradition an der Martin-Luther-Universität Halle: Talare als Zeichen der Freiheit" (in German). Mitteldeutsche Zeitung. 2 November 2014. Retrieved 2016-09-17. ↑ "Akademische Kleidung" (in German). University of Heidelberg. Retrieved 2016-09-17. ↑ "Pompöse Abschlussfeier: Die Rückkehr der Talare" (in German). Spiegel Online. 13 July 2005. ↑ "'Sie können stolz auf sich sein!'" (in German). TU Chemnitz. 25 April 2015. ↑ "Hüte & Schärpen" (in German). RWTH Aachen. Retrieved 2016-09-06. ↑ "Historische Insignien der Philipps-Universität" (in German). University of Marburg. Retrieved 2016-09-06. ↑ "Prosaisch bis pompös: Absolventenfeiern und Abschiedsrituale – Aktuelles aus der Goethe-Universität Frankfurt" (in German). Goethe University Frankfurt. Retrieved 2016-09-06. ↑ "Archived copy". Archived from the original on 19 October 2013. Retrieved 2013-10-18. 1 2 "Archived copy". Archived from the original on 19 October 2013. Retrieved 2013-10-18. ↑ QuestIT s.r.l. "Archivio Corriere della Sera". 1 2 "Unibo lauree giugno 2012: con toga in piazza Maggiore". BolognaToday. 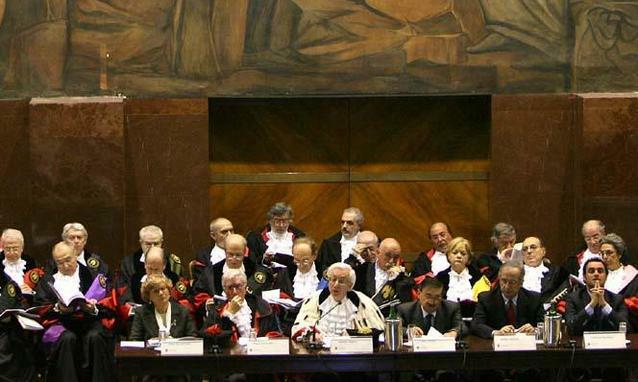 ↑ "Via Sarfatti 25 - Toga e tocco per i nuovi laureati". ↑ "Archived copy". Archived from the original on 22 October 2013. Retrieved 18 October 2013. ↑ "Come scegliere i colori giusti per la laurea". Come Fare. 1 2 3 "What to wear to graduation - The University of Auckland". Auckland.ac.nz. Retrieved 2013-06-15. ↑ "What to wear to graduation - The University of Auckland". Auckland.ac.nz. Retrieved 2013-06-15. ↑ "Alumni & Friends - University of Otago - University of Otago". Alumni.otago.ac.nz. Retrieved 2013-06-15. ↑ "UP Sablay". Retrieved 2010-08-21. ↑ "Tiedostot | Viralliset asiat". Limes.fi. Archived from the original on 20 July 2011. Retrieved 2010-04-28. ↑ Groves, Nicholas. "Shaw's Academical Dress of Great Britain and Ireland", London: Burgon Society, 2011. ↑ "Shepherd & Woodward: Oxford University student gowns". Shepherdandwoodward.co.uk. Retrieved 2010-04-28. ↑ "CU Cap & Gown Society: Gown-spotter's guide". Srcf.ucam.org. Archived from the original on 5 March 2009. Retrieved 2010-04-28. 1 2 Smagorinsky. The REGALIA of Princeton University: Pomp, Circumstance, and Accountrements of Academia. Page 5. ↑ "About – The Order of Gownsmen – Sewanee :: The University of the South". Sewanee.edu. Archived from the original on 29 May 2010. Retrieved 2010-04-28. ↑ New York Times. "Gowns for College Men; Academic Costumes in American Universities (1896): Plan to Secure a Uniform Practice in the Use of the Caps and Gowns in This Country So that the Degree of the Wearer, the Faculty Under Whom It Was Obtained, and the Institution Conferring It May Be Readily Seen." Sunday, 26 April 1896. ↑ "Kindergarten graduation in the United States". Rhymeuniversity.com. Archived from the original on 10 May 2010. Retrieved 2010-04-28. ↑ John Abel Nainfa, Costume of Prelates of The Catholic Church: According To Roman Etiquette, 164. ↑ papabear. "The New Beginning". 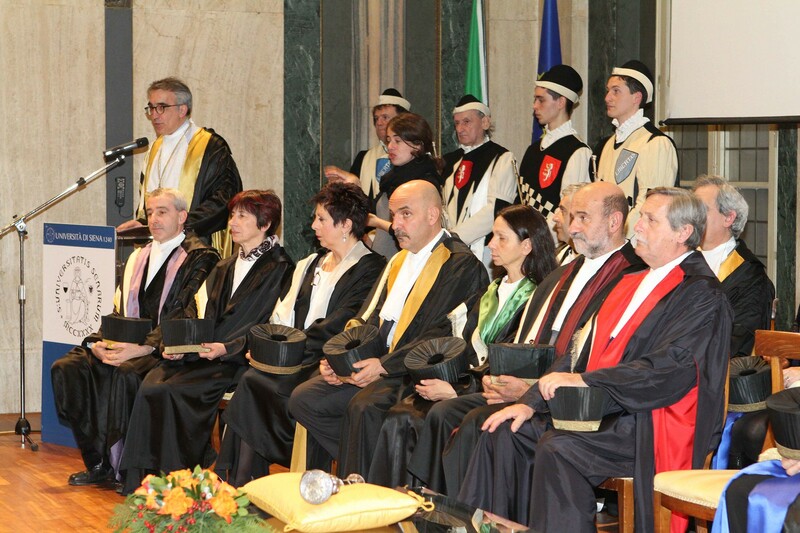 ↑ "Ring, Biretta and Gown for Graduates". Pust.it. 2011-06-15. Retrieved 2013-06-15.